Lakewood Auto Body is a popular name among car owners looking for professional collision repair or brake repair service around Midland, WA. In operation since 1962, we are a highly rated brake repair shop in the Midland area and we can fix almost all types of brakes with ease. With our years of experience in this field, we know the complexities of the work and check brakes closely before handing over the vehicle after repair. Our professionals also guide users about maintenance of brakes, as it is one of the most important parts of the vehicle. We know a little negligence can be a huge problem. Whether it is the rotor, drums or pads of the braking system, we can repair and replace all. Do not delay if you find slightest problems while driving. Looking for a reliable brake repair service? We are the one. As one of the most popular brake repair shops around Midland, we know how to handle the brake system of almost every popular vehicle in the country. Whether you are using a hatchback or a driving a sedan, we are your one-stop brake repair shop. As an experienced repair service, we recommend clients inspect their braking system at regular intervals, not only for safety concerns but also to enhance the longevity of a vehicle. A poorly maintained braking system can impact the overall performance of the car. Car maintenance can be expensive. For affordable auto brake repair around Midland, visit us. Our auto brake repair service is reasonably priced and easily fits in your budget. 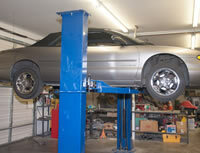 Though we are known as an auto brake repair service, we offer a host of other car repair services. To know about our job quality, read our testimonials. Are you looking for a brake repair shop around Midland? 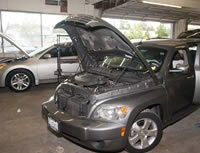 Hire the auto brake repair experts at Lakewood Auto Body. To schedule an appointment, call us at (253) 581-0220.